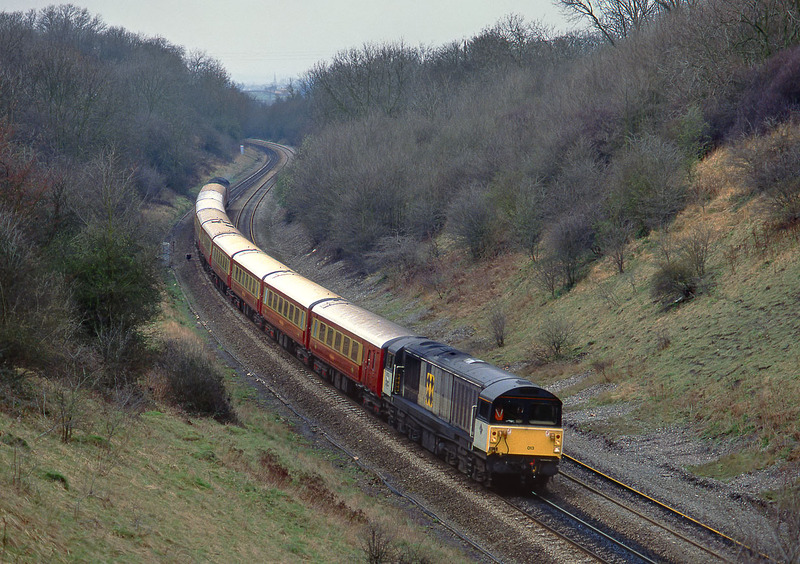 58013 works wrong line through Harbury cutting on 28 March 1992 with the Branch Line Society 'Kineton Pullman' railtour. 47597 is on the rear of the train. After a reversal at Banbury, the tour would hand over to Army locos 273 & 265 at Fenny Compton, for the short trip to Kineton Army Depot. Note how rusty the out of use up line is.